Note: I've been nominated for Babble's 100 Top Food Blogs! I have 30 more votes to get into the top 50. If you like what I've done here, would you follow the side link to Babble and vote for me? 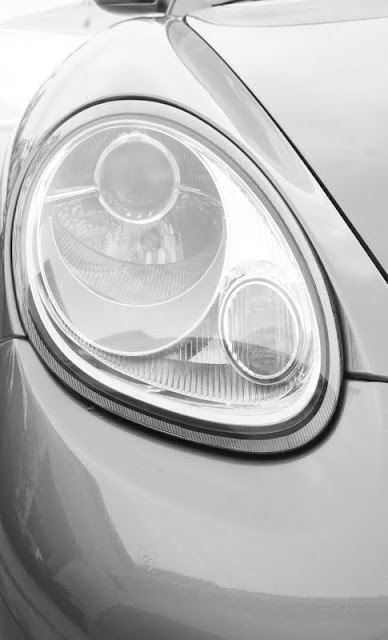 I am on page #2 "Snippets of Thyme"
I remember as if it were yesterday the day my husband bought his first brand new car. Little did I realize at the time, what a monumental day that was for him. You see, now that we have been married 20 years, I understand more about this guy than I did all those years ago. I understand how truly and incredibly hard he works for the very few items he desires. We were so young when we married. We were engaged our senior year of college and planned to marry the summer after our college graduations. My graduation was the day before his ceremony. The plan was for me to fly out of NYC to St. Louis and attend his graduation the next day. We were young, in love, and the world was our oyster. He said he had a surprise. When he met me at the airport, the look on his face was pure rapture. No, this time it wasn't because he laid his eyes on me. He had worked hard on a full scholarship for an engineering degree. He had a diploma in hand. And, he had a wonderful job offer waiting for him. I had an inkling what this surprise would be but I played along. I had graduated from college the day before, tearfully said farewell to my beloved NYC, a wedding to plan, a new job position to begin, and a new move way up to Michigan to anticipate. As we held hands and walked into the parking garage for the first time as a real couple about to be married, he stopped and looked at me with the happiest grin I have ever seen on his face. A brand new red car was sitting proudly in its parking space. I'll never forget that day. Over the 20 years that I have been married to this man, he has owned 3 cars. Each one of them has been taken care of with utmost tenderness and respect. I can honestly say, I have never known someone to work as hard as my husband. 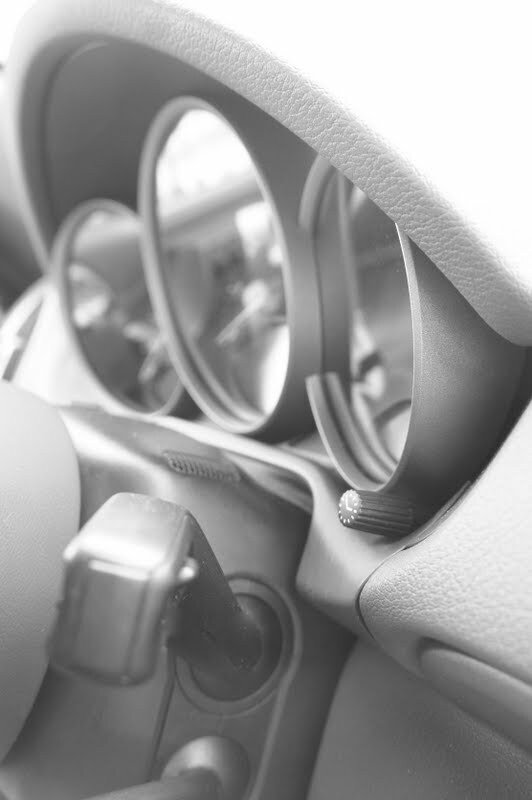 He takes care of his car as he takes care of his family, with pure devotion. Without fail, he is up early, off to work, day after day with seldom a complaint about his job. Other than his love for beautiful cars, there are hardly any other material items that he desires. He did want an ice cream maker last year but I think he was just trying to come up with an idea for us. One thing I can think of that makes him happy is a nice barbecue. Well, it's indeed that barbecue time of year. I was so pleased with that flap steak soft taco dish the other day, I decided it was again time to open up my new cookbook The Cook and the Butcher by Brigit Binns. I also really fell in love with rhubarb this year after making Martha Stewart Living's Poached Rhubarb with Elderflower Sabayon this spring. 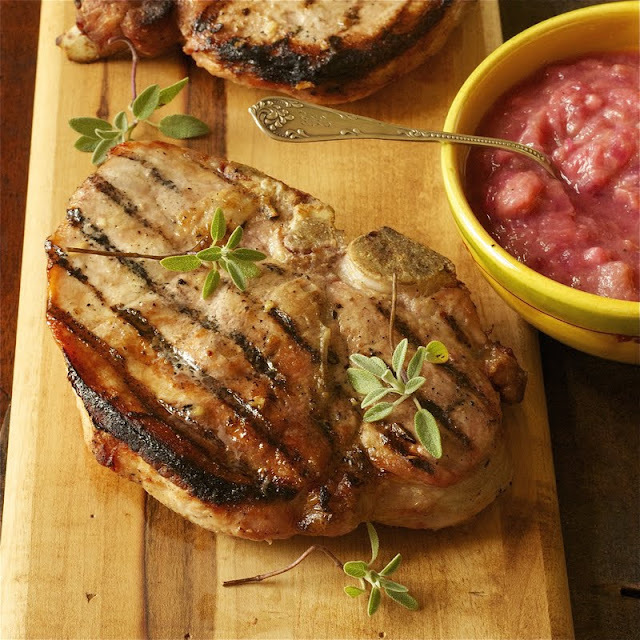 One of the pork chop recipes in my new cookbook uses rhubarb as a savory side to these smoky chops. It is called a rhubarb mostarda. Again, a hit from this cookbook! And, I'll let you know when I cook something that isn't a hit. (I have a recipe I will post next week that was NOT a hit, hint, hint). However, this pork chop dish is amazing. 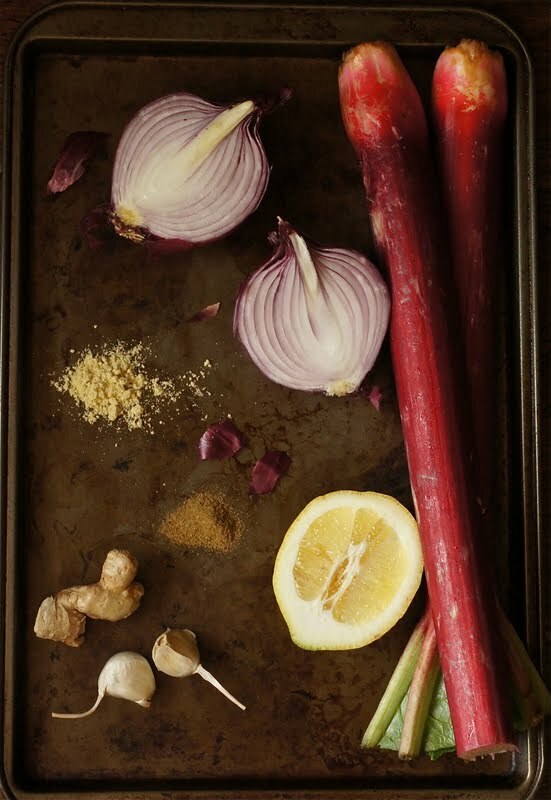 Another recipe with rhubarb to celebrate this wonderful stalky pink celery looking plant. 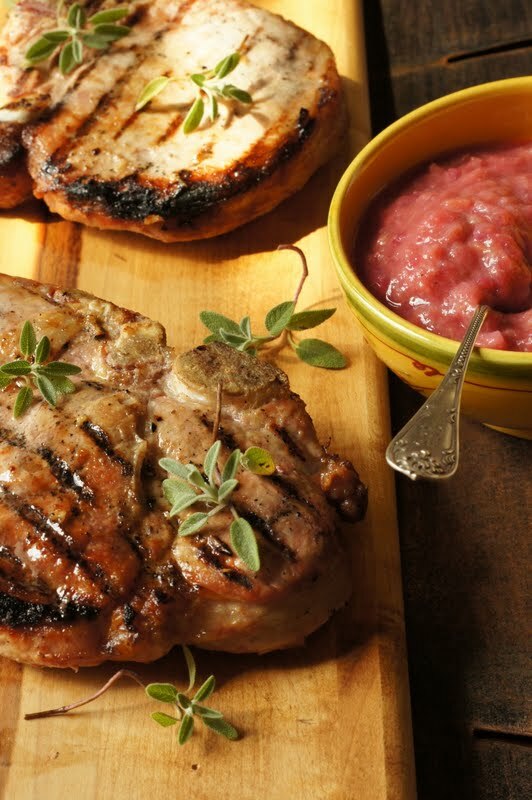 Not only are the pork chops a wonderful barbecue treat but paired with this incredibly deep red and fragrant side relish was a dish that I will no doubt make again and again. It was a 4 thumbs up for all of us. Recently, I looked at my husband and I told him...it is time. It is time to make one of his wishes come true. My husband is a person with few materialistic possessions or desires for possessions. I probably make 99.9% of the purchasing decisions for our family and he is very content with that. I told him. It is time. Go and live a dream. And you know what? He did. It isn't flashy red like his first car years ago. It is a more mature smoky grey. I am so happy. Because he is the best man in this world. To make the mostarda, in a large, heavy pot, combine the sugar, vinegar, ginger, garlic, and cumin. Place over low heat and bring to a simmer, stirring frequently to dissolve the sugar. Add the rhubarb and onion, raise the heat to medium-high, and cook, stirring frequently to break up the rhubarb, until the mixture thickens slightly, about 5 minutes. Stir in the mustard, season with pepper and stir until smooth. Let cook completely. If desired, refrigerate overnight. Return to room temperature before serving. In a shallow nonreactive dish that will hold the chops in one layer, whisk together the lemon juice, oil, and garlic. Whisk in 1/2 teaspoon salt and season with pepper. Place the chops in the dish and brush both sides thoroughly with the lemon mixture. Cover and refrigerate for at least 1 hour or up to 3 hours turning the chops occasionally. 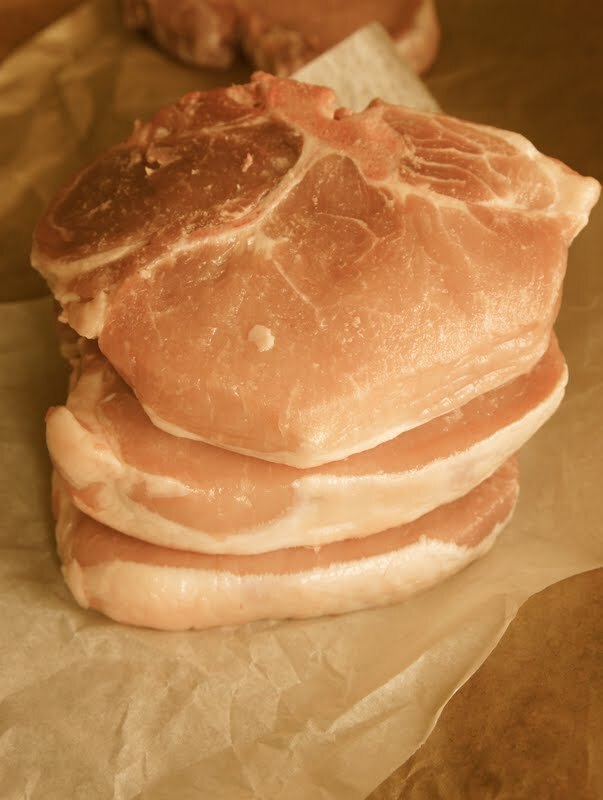 Remove the chops from the refrigerator and let stand at room temperature for 20 minutes. Lift the chops from the marinade and pat dry. Reserve the marinade if using a charcoal grill. Prepare a charcoal or gas grill for direct-heat grilling over medium-high heat or preheat a cast-iron stove-top grill pan over medium-high heat. Place chops on the grill rack over the hottest part of the fire or in the grill pan and cook without moving them for 2 1/2 - 3 minutes. Move the chops after 1 minute if the fire flares up. Turn and cook until the chops are golden brown and crusty, 2 1/2 - 3 minutes more. 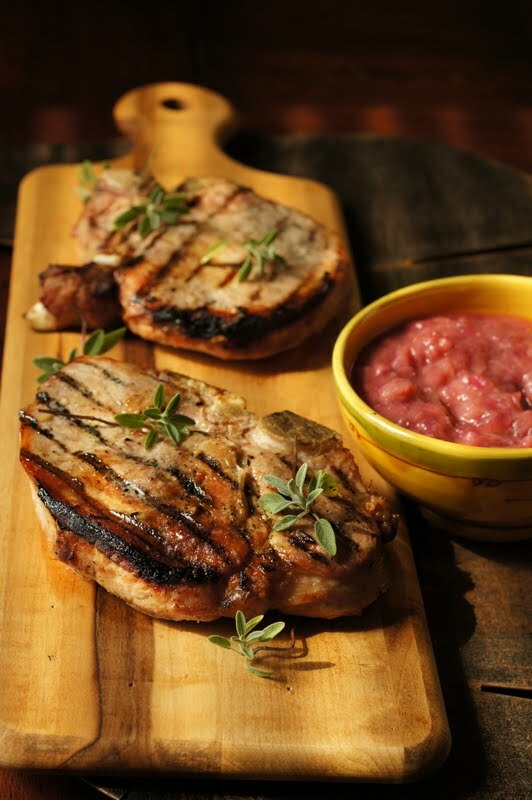 If using a charcoal grill, brush the chops occasionally with the reserved marinade. Move the chops to a cooler part of the grill or reduce the heat, and continue to cook until the chops are firm to the touch but still have a little give, 10-12 minutes. Transfer to a platter, tent loosely with aluminum foil, and let rest for 3-4 minutes. Serve at once with the mostarda!